⬅ Pipeline Conference this week. I know how easy it is to confuse the purpose of our communication. Are we just trying to get information out there or are we trying to convey something more important than just information. Who are you talking to? Different tools for different folks. Text messaging works great with collage and high school volunteers. Not so good with the older set. Email works good across the board but can be shallow and can leave room for personal interpretation by the reader. Facebook – Haven’t really figured out a way to use it as a powerful communication tool. Blog – Works great to fill in the communication gaps the only problem is that blogs are still not widely read by people outside of blogosphere. Webstie – Great tool for static information a pain to constantly add content to. Handouts – Upside is that you know each parent is getting one. Downside is that they spend more time on the floorboard of the car than in the hands and minds of parents. I think this question is key because what you are trying to say will more than likely determine the vehicle you use to communicate the information you are trying to get across. Make sure that you never send an email when a phone conversation is necessary. Text by all means but don’t say anything meaningful via text. Comment on facebook but don’t forget to meet face to face. Don’t substitute Web presence for God’s presence. 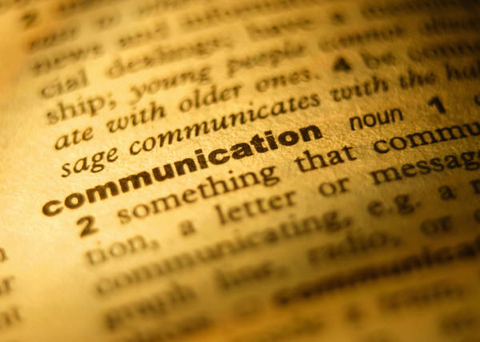 Bottom line use everything at your disposal to communicate the Values and Vision God has given you just don’t neglect the basics of communication.